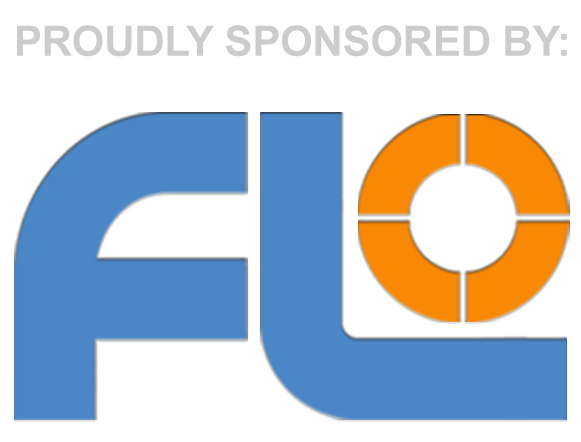 This morning, unplanned once more, I was out at 5 a.m. with the Heritage 130 P Flextube, for some lunar observing. Slight haze, some clouds; seeing on average, and allowing mags of 120x up to sometimes 183x (Seben Zoom + Baader Barlow 2,25x). The terminator was already at the W rim of the large walled plain Janssen (250x200 km), and I was impressed by the ruggedness of it's surface. 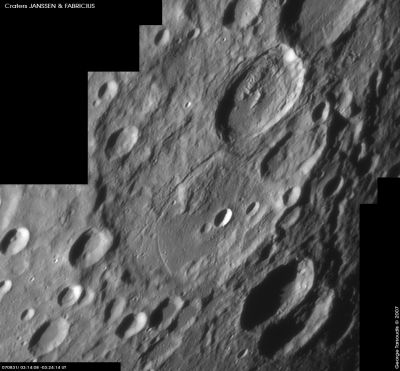 A dominant central mountain region, two large superimposed (=later) craters Fabricius and Metius, and an overwhelming lot of smaller craters and rock formations - a real challenge for sketchers. Rima Janssen could be made out easily, extending from the S side of Fabricius, and curving along the E of the central mountain region in a beautiful arc to the south, splitting up into three branches. It looked like a gigantic irrigation system - crater/lake - rima/channel, extending diminishing in a rather flat part of the area; very nice, and a recommendable target. I spent half an hour looking at this detailed moon region, went over shortly to the craters Pitiscus and Vlacq, and finished with the bright ray system of crater Byrgius A far in the west, S of Crüger. Once again, the small 5.1" scope gave excellent views, and was limited only by the seeing, not by the quality of it's optics; an excellent grab-and-go combo with Zoom and 2,25x Barlow. Nice report Stephan, thanks for the inspiration of a beautiful Lunar area! Great scope indeed, I am thinking about a barlow too for mine. Do you have a tip on which one to buy? I am thinking about a barlow too for mine. Do you have a tip on which one to buy? 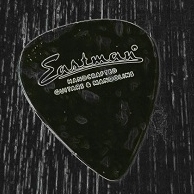 Thanks, Eastman, for your kind reply! Combined with the Seben 8x24 Zoom, you get a variety of magnifications between 27x and 183x; a very good combo. I've added a ES 26mmf/62° LER eyepiece, to get the maximal TFOV of 2.5° (cheaper and more lightweight than the praised ES 24mmf/68°, and, moreover, giving a slightly larger exit pupil - good for views of faint, extended nebulae under dark skies). A small set, good for grab-and-go, and for traveling. Thanks for the recommendation and explanation Stephan. The combination with the zoom eyepiece also seems ideal for traveling.